Find out whether professional teeth whitening in Shelby will give you the results you are looking for. With the start of a fresh new year it’s also a great time to consider ways to improve your appearance. If avid coffee drinking has caused significant dental stains then you may find that simple whitening toothpastes and over-the-counter whitening rinses just aren’t doing the trick. Therefore, it may be time to consider getting teeth whitening in Shelby. So what stains can professional teeth whitening actually combat and can it work for you? Natural tooth structures: The teeth whitening agent we use is strong; however, it only works on natural tooth enamel. This means that any type of dental work or restoration like veneers, crowns, bonding or fillings won’t be affected by this treatment. Therefore, if you happen to have dental work and still want to get teeth whitening, you may also need to replace your dental restorations in order to get a matching, uniformed smile. External stains: Teeth whitening is most effective on external stains caused by certain foods and beverages like coffee. External stains tend to cause yellowing teeth. However, teeth whitening will not lighten internal stains caused by trauma or long-term antibiotic use. These stains are usually gray. Teeth whitening will also not affect white spots on the teeth. This treatment works best on stains that affect the outer layers of tooth enamel. Who should not opt for professional teeth whitening? Anyone with a significant amount of dental restorations, those with internal stains, and those with severe tooth sensitivity may not benefit from professional teeth whitening in Shelby. If you are looking for ways to improve your smile, you will want to talk to us about other cosmetic options like dental veneers that may work better for you. To get a new smile for the New Year, turn to teeth whitening in Shelby to transform your teeth. Call Joseph R. Hendrick, Jr., DDS, PA today to schedule your first teeth whitening appointment and start the journey toward a whiter smile. At our Shelby dentist’s office, we specialize in treating diseases and disorders of the teeth and gums, especially when this comes to periodontal or gum disease. This condition occurs when harmful bacteria infiltrate the gums, causing decay and disease. The gums can start to recede or pull away from the teeth. This can result in loose teeth and even cause your teeth to fall out. A number of factors can come into play to determine if you could be at risk for gum disease. Knowing your individual risk factors can help you prevent gum disease whenever possible. The older you are, the more likely you are to experience gum disease. An estimated 70 percent of Americans older than age 65 have periodontitis, according to the Centers for Disease Control and Prevention (CDC). If your parents have experienced gum disease, you are at an increased risk for having it too. Always let your dentist know if you have a family history of gum disease or early tooth loss. If you have a history of chronic conditions such as diabetes, heart disease or rheumatoid arthritis, you are at greater risk for gum disease. These conditions are associated with causing inflammation in the body, which can lead to gum disease. 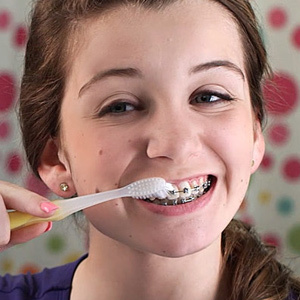 Each of these actions creates added friction on your teeth, which can weaken the supporting structures of your teeth. As a result, you advance the rate at which your gum tissue deteriorates. Your body uses the nutrients you give it to make healthy tissues, fight off infections and heal tissues. If you do not fuel your body with the proper nutrients, it cannot fight back. If you have questions about your personal risk factors for gum disease, please contact our Shelby dentist’s office at (704) 484-0077.